Growing your own vegetables is not difficult, although many find it a bit of a challenge. And if you choose your plants wisely, growing your own can help offset the cost of vegetables. In a space as small as 40m2 (8m x 5m), you can grow a year's supply of vegetables easily. Starting an edible garden only requires time, common sense and a little knowledge. Tips and tricks for beginners for growing tastiest vegetables in home garden beds and pots are given below. Learn the basics of planting and growing a vegetable garden from the following vegetable gardening guide. If you have very little space or live in an apartment, then you can start vertical gardening and hanging gardens in your apartment's balcony. Another option for those who have small garden is to use containers. You can create a no-dig garden by laying newspapers, hay, fertilizer and compost. Sunlight: Generally, vegetables require 6 hours of direct sunlight to grow properly. However, if your garden space is in shade or receives sun only for a few hours, you can choose to grow leaf and root vegetables which can grow in some; vegetables like lettuce, carrots, kale, peas, swiss chard, spinach, etc. Soil: Choose a well fertile free-draining soil. Add rotten manure and/or compost to the soil to make it nutrition rich and add some river sand to make it free-draining. What to Plant: When choosing what to plant, you should consider planting only those produce you and your family members like to eat and which have good and longer yield, easy to grow, less susceptible to pests and diseases and easily stored or preserved. Choosing the right plants will save you a lot. Basil, Beets, Beans, Chillies, Cucumbers, Lettuce, Onions, Peas, Radishes, Spinach, Swiss Chard and Tomatoes are the easiest to grow vegetables to start with in a small garden. Any one can start growing these vegetables with little or no gardening experience. Most of these vegetables can be grown in a vertical garden. Baby carrots, Bok Choy, Coriander (Cilantro), Green onions, Kale, Lettuce, Spinach and Radishes grow in 30 days or even less. Beans, Bitter Melon, Bottle Gourd, Cucumbers, Melons Tomatoes, etc. are grown on trellis. Watering: Water your plants with correct amount, neither too much nor too little. Allow soil to dry between waterings. The advantage of growing vegetables at home is that you always get fresh vegetables. An important advantage of growing your own vegetables is that you can grow organically, without using any chemical fertilizers and pesticides. The organic vegetables taste very good and are healthy due to the absence of harmful chemicals. 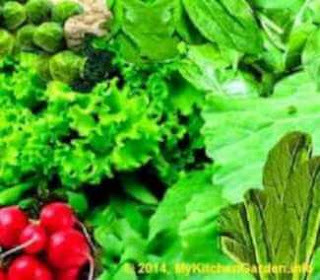 The following in-depth articles will give you all the information you need to grow vegetables more successfully. The links will take you to the Articles. More links will be added as and when more articles are posted. During this article you are reaching to learn three easy steps to begin a vegetable garden in your own back yard that may leave your table inarticulate with contemporary vegetables for years to return. Hello - My Dosakaya plant doesn't yield lots of fruits.. I see female buds on the plants but they don't bloom for pollination. Feed liquid fertilizer, add wood ash in soil and increase water. This may produce healthy blooms, more blooms and good nimber of fruits in Dosakaya and other plants. You could add bonemeal in soil. Hello sir, my bottle gourd plant has very small flowers (I think they don't bloom fully). It has both male and female flowers but I don't get opportunity to hand pollinate as flowers petals don't open fully. Please guide. If the bottle gourds flowers are small in size or do not open, spray a liquid fertilizer high in potassium on leaves and feed in soil every 10-15 days. Alternatively you could add some sulfate of potash in the soil, 10 inch away from the plant.